Chrystia Freeland was not happy. With trilateral NAFTA talks having been on hiatus for most of the summer, the foreign affairs minister was in Berlin, barely one full day into a week-long diplomatic mission to Europe, when news emerged that the United States and Mexico had forged their own trade alliance in Canada’s absence. 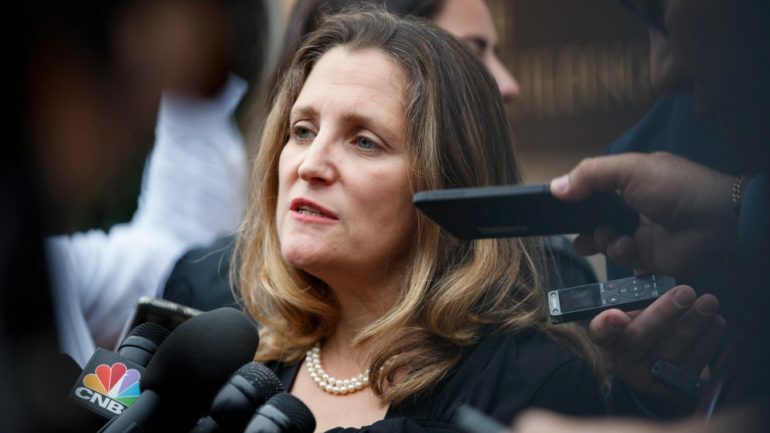 By Aug. 28, Freeland was back in Washington, hosting a meeting at the Canadian embassy, where sources say she gave members of the Mexican negotiating team a piece of her mind. “She brought them in for that purpose,” said one source familiar with the encounter. By all indications, things haven’t improved much.